Update: Nintendo has responded to our enquiry by saying that it doesn't comment on rumour or speculation. Original story: Reports are circulating that Nintendo will release a 3DS firmware update in November 4 in Europe which will add 3D video recording to the 3D handheld. In addition, the update is also rumoured to include a new StreetPass game along with improvements to the Mii Plaza and the Nintendo eShop. The update was supposedly revealed at an event in Munich, according to Nintendo World Report. Nintendo of Europe detailed the 3DS update yesterday at an event in Munich, according to Nintendo World Report. We've contacted Nintendo to verify the story, and will update this article when we hear more. Nintendo has revealed that it's to hold another 3DS conference midday this Friday. President Satoru Iwata will take to the stage at the 'Nintendo 3DS New Information: Internet Presentation' in Japan to provide "new Nintendo 3DS news" that was "impossible" to share at its pre-TGS press conference last month. The conference will be streamed on Japanese site NicoNico Douga and also Ustream, Kotaku reports. Nintendo provided a little insight into what we can expect to hear at the conference, saying it will be include details about the upcoming November 3DS update. Nintendo is springing another press event on us, this Friday, October 21 at 8PM (7AM EDT). The pre-recorded presentation will be streamed online, and will focus on the upcoming November firmware update for 3DS, along with details about Mario Kart 7's wireless functions (probably referring to online play). Those two things alone don't seem like much for a press conference, so either this thing will be mercifully brief or there will be some surprises. There might be more to this firmware update than video recording. Maybe. 3DS beast-battler Monster Hunter Tri G will not feature online play, publisher Capcom has announced. Confirmation came out of an FAQ on the game's official site, as translated by Siliconera. Local multiplayer will be supported however, and there will be post launch DLC. While the Wii original featured full online play, none of the PSP Monster Hunter Portable titles have done so. The game is out in Japan in December, with no European date yet confirmed. Nintendo's twin-screen wonder has seen almost as many reinventions as Lady Gaga, so it may not come as a huge shock to hear that the DS (in all its guises) has now sold over 50 million units in the US. 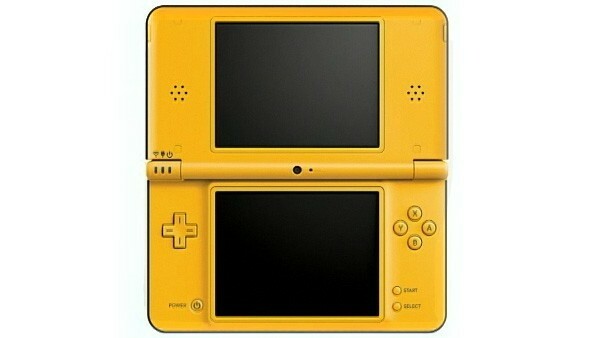 The home entertainment maestros are still chasing similar success for its three-dimensional sibling, the 3DS, however. Nintendo has managed to sell almost half a million three dee units units after its weighty price cut, but there's now some very potent competitors seeking their own slice of the (portable) gaming pie. Good luck, Nintendo, you're probably going to need it. Amazon Japan has revealed the packaging for the 3DS Extension Slide Pad. We think that's the official name for the peripheral, which we still refer to as thecontroversial 3DS circle pad add-on. Adding a second analogue controller and shoulder buttons when attached to the portable, the cradle accessory will support games like Monster Hunter 3G, Resident Evil Revelations and Metal Gear Solid Snake Eater 3D. It'll be released with Monster Hunter 3DS in Japan on December 10, but will also be available on its own for 1,500 yen (about £12.50). A UK release date hasn't been announced yet. With gaming on tablets, the visual experience is often top-notch, but the controls are unfamiliar at best -- even inadequate at times. But adding a traditional joystick is impractical, especially when aesthetics is a key selling point for manufacturers. Chicago-based Knowles Electronics has a fairly practical solution, however, and hopes that some manufacturers will adopt its Mems Joystick. At just 1.6mm tall, the joystick is slim enough for a device to maintain a svelte profile, and the 400 microamps it consumes during normal operation is relatively negligible, according to company reps. Tablets are just the start -- Knowles built a series of prototypes to demonstrate a variety of potential applications. We took the joystick for a spin on a Samsung Galaxy Tab 10.1, Motorola Atrix, Nintendo 3DS and a pair of laptops. 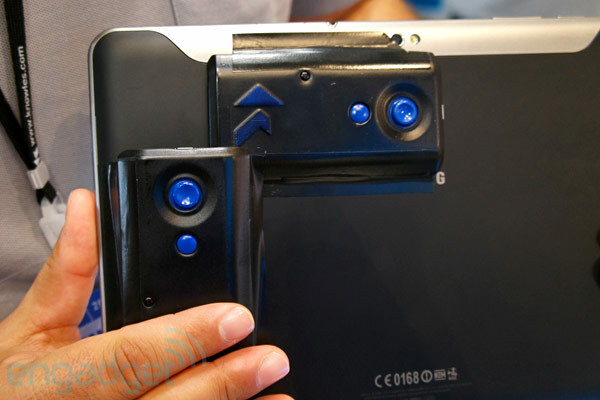 All of the joystick prototypes connected using Bluetooth or USB, and were designed specifically for this CEATEC demonstration -- sadly they won't be available for purchase, though manufacturers could implement the controller into similar products. It took only a few seconds to get accustomed to the pair of joysticks mounted to the back of the Tab. Controlling gameplay felt natural, and we definitely preferred playing with a clear view of the display. We also navigated through Google Maps, and scrolled a web page -- both experiences felt superior to moving around the touchscreen. The 3DS joystick functioned similarly to the native controller included with that device, though Knowles reps noted that it's significantly smaller, and uses less power -- and without compromise, it seems. Jump past the break for a walkthrough of the devices we saw today, but try not to fall in love -- you won't be able to use the Joystick anytime soon, if manufacturers decide to implement them at all. 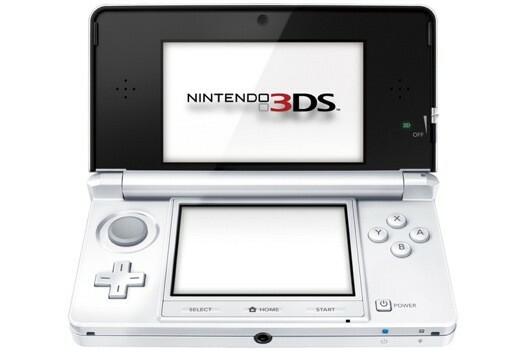 Nintendo has unveiled the Ice White 3DS, the fifth colour model of its glasses-free 3D handheld. The new model, pictured below, goes on sale in Japan on November 3. The Misty Pink model, announced last month, will be on shelves on October 20. There's no news on a European release, but the Metallic Red model launched last Friday. Nintendo has praised a ruling in France that has seen six companies found guilty of importing and selling R4 cartridges and other copying devices. The companies have been fined more than 460,000, ordered to pay damages to Nintendo of more than 4.8 million and in some cases given suspended prison sentences. "Nintendo supported this criminal action not only for the company's sake, but for the interests of its game developer partners who spend time and money legitimately developing software for Nintendo's game platforms, and customers who expect the highest standards and integrity from products bearing the Nintendo name," commented Stephan Bole, MD of Nintendo France. Time-rewinding Game Boy platformer Catrap, wordy puzzler Extreme Hangman 2 and Trenches: Generals arrive on the Nintendo eShop this Thursday. After last week's Mario and Zelda-filled update, the latest offerings are a little more obscure. Catrap, also known as Pitman, was released on the Game Boy in 1990. It arrives on 3DS this week via the handheld's Virtual Console. A puzzle-solving platformer, Catrap is credited as being the first title to use time-rewinding gameplay, later found in games such as Blinx and Prince of Persia. Extreme Hangman 2 for DSiWare boasts over 3000 words in 14 new categories, and we really can't find anything more to say about it. Trenches: Generals meanwhile is a tower defence title for WiiWare. It's an update of the iOS original, where players must help the British Army beat the Germans. It released in the USA last month for 700 Wii Points (about £4.50) and has apparently avoided the same naming problems that temporarily scuppered the release of Double Fine's Trenched.